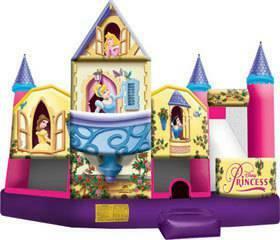 This awesome Disney Princess 5 in 1 Combo will complete any girls special day. With a large bouncing area, basketball hoop, pop up obstacles, climb and slide the kids are going to have a great time. Hurry this Princess combo doesn't last long.